NewsGallery: STOP CONGRESS FROM THOUGHTLESSLY DISMEMBERING THE INTERNET'S DNA: STOP PIPA & SOPA FROM PASSING! 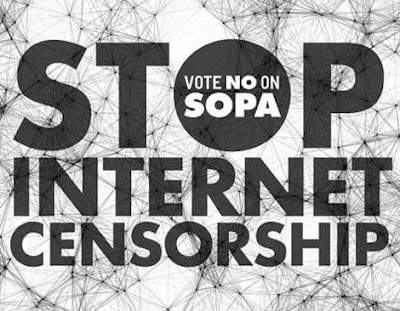 STOP CONGRESS FROM THOUGHTLESSLY DISMEMBERING THE INTERNET'S DNA: STOP PIPA & SOPA FROM PASSING! Think about it: No more Wikipedia. No more informational social-networking centers. Youtube would become a skeleton. No more of the blogs we love, and an endless trickle down of thoughtless censorships all because our government fails to understand what it all means and how to handle ending piracy accordingly, without destroying alternative sources and livelihoods. Go HERE to learn more and to sign the petition for your Congress telling them to STOP PIPA & SOPA!